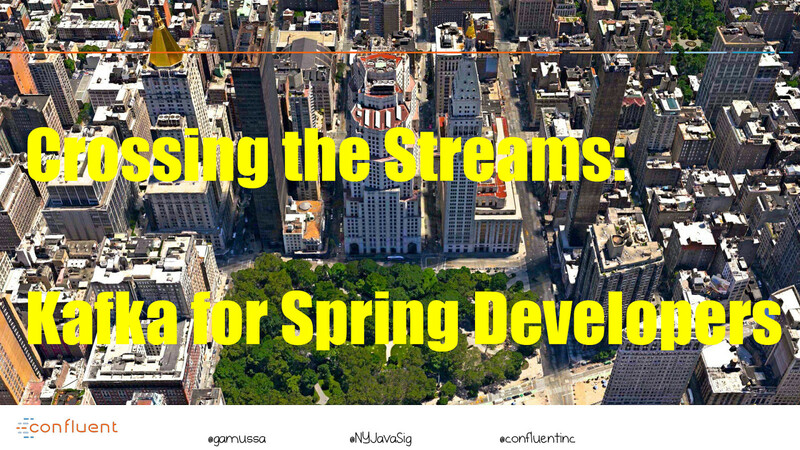 View Crossing The Streams: Kafka For Spring Developers on Notist. All things change constantly! So dealing with constantly changing data at low latency is pretty hard. It doesn't need to be that way. Apache Kafka, the de facto standard open-source distributed stream processing system. Many of us know Kafka's architectural and pub/sub API particulars. Viktor will show how to build sophisticated stream processing apps (not clusters)! Viktor will take for a spin Kafka Streams, spring-kafka and spring-cloud-streams frameworks to stream processing applications.